The Wildcats have practically played a Region 9 schedule in the preseason, battling five of the southern Utah’s six R9 teams, including two matchups vs. Dixie. 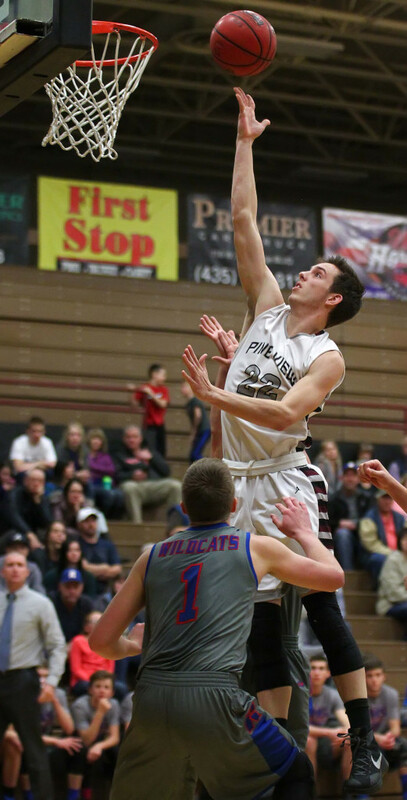 The verdict: Richfield is pretty on par with Region 9 after Wednesday’s win at Pine View made the Wildcats 3-3 against southern Utah. 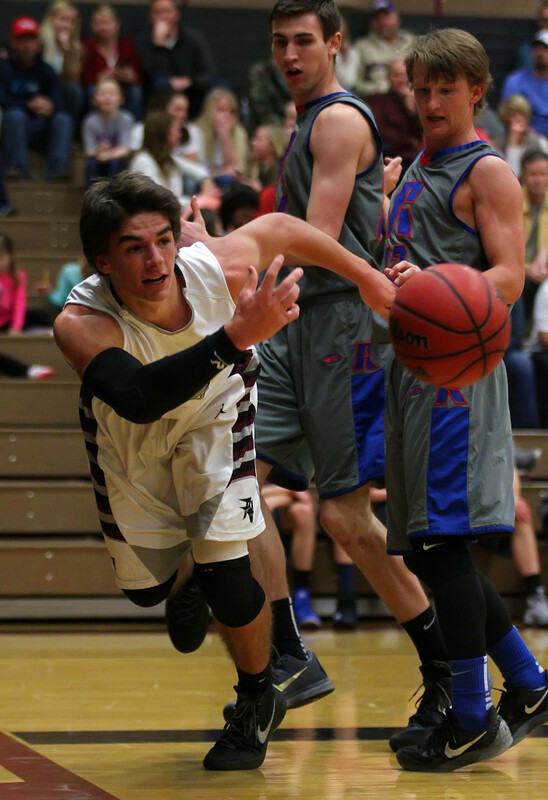 Richfield split with Dixie, beat Snow Canyon and Pine View and lost to Hurricane and Desert Hills. All six games were within 12 points, one way or the other. 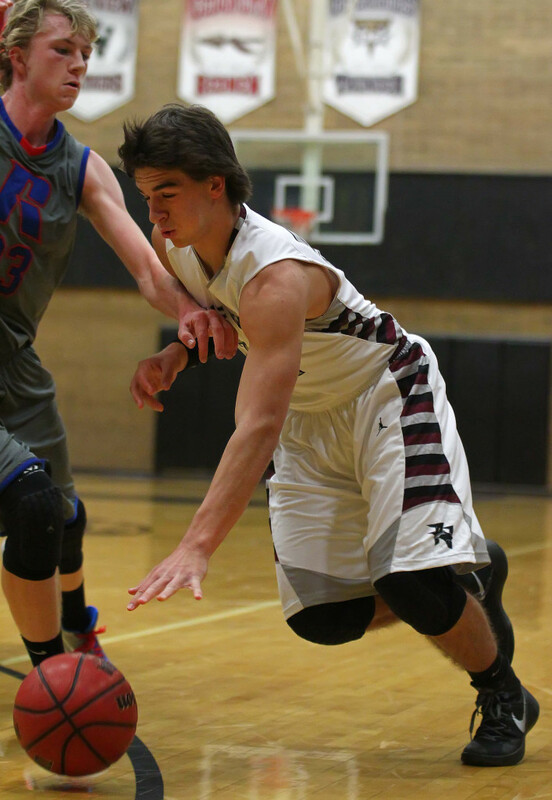 Against the Panthers Wednesday, Matt Griffin had 16 points and Jaxon Thalman added 10 for RHS as the ‘Cats held off a late Pine View rally. 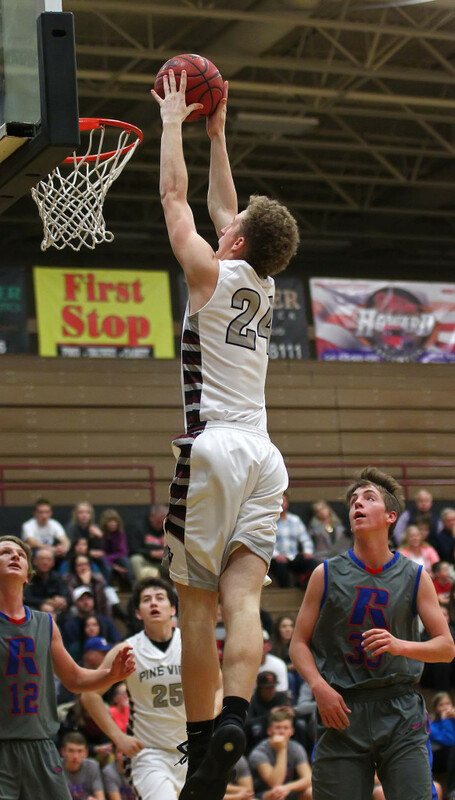 Pine View got a double-double from Cody Ruesch, who scored 11 points and snared 10 rebounds, adding five assits as well. Brandon Yates led PV with 12 points and Kade Moore had 11 points and five assists. 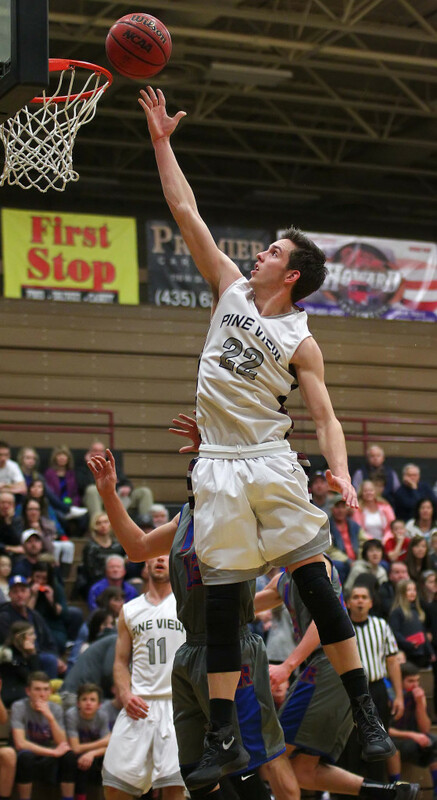 Pine View struggled to score the basketball in the game, managing just 20 points in the game’s first 16 minutes. The Panthers outscored Richfield 32-29 after intermission, but couldn’t overcome that slow start. The Region 12 Wildcats are 7-4 overall. 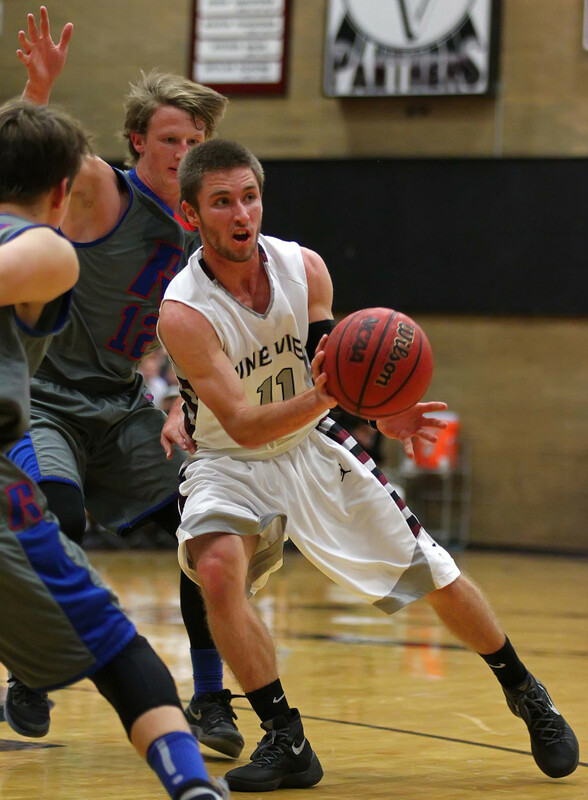 Pine View drops to 7-4 and will take a couple of weeks off before Jan. 13’s region-opening contest at Dixie. 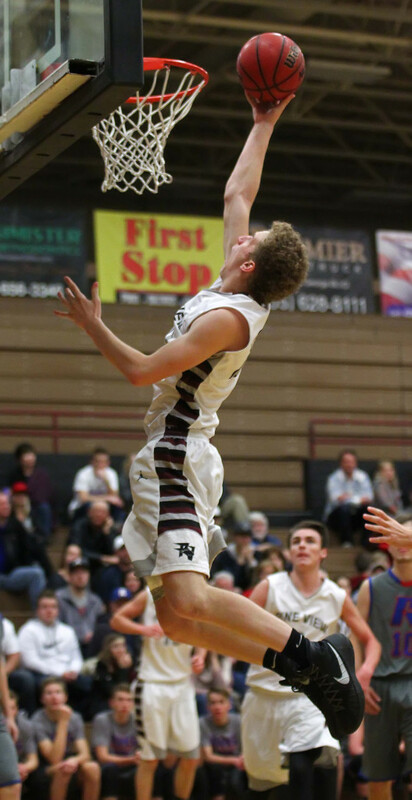 Richfield hosts the only Region 9 team it hasn’t played yet, Cedar, on Jan. 6. The Flyers advance to the Riverton Holiday Tournament with this win, their third straight in the Salt Lake Valley this week. Tyler Bennett returned to action after a one-game hiatus and led his team with 21 points. But this game was all about defense as Dixie held the Wasps to just 20 points in the game’s first three quarters. 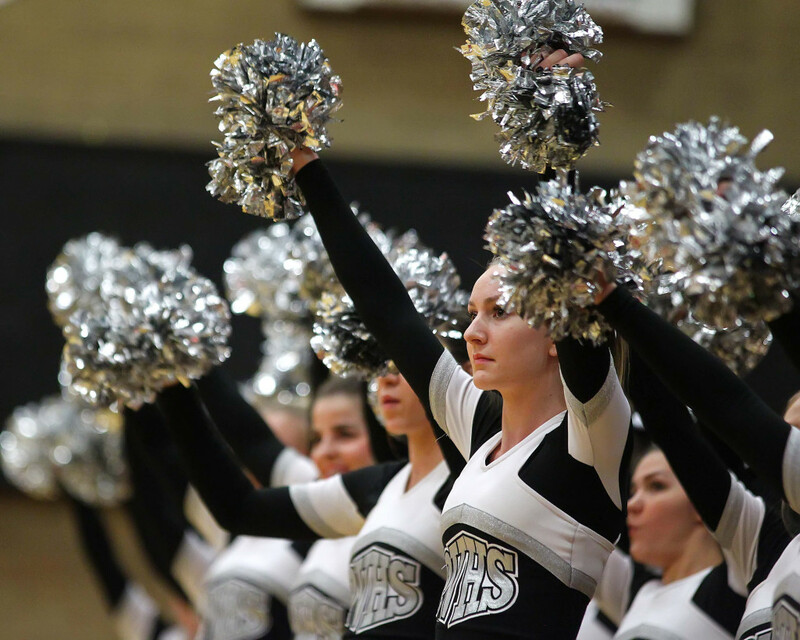 Wasatch actually led 10-9 after the first period buzzer sounded. But WHS managed just one basket in the second quarter as Dixie marched to a 19-12 halftime edge. 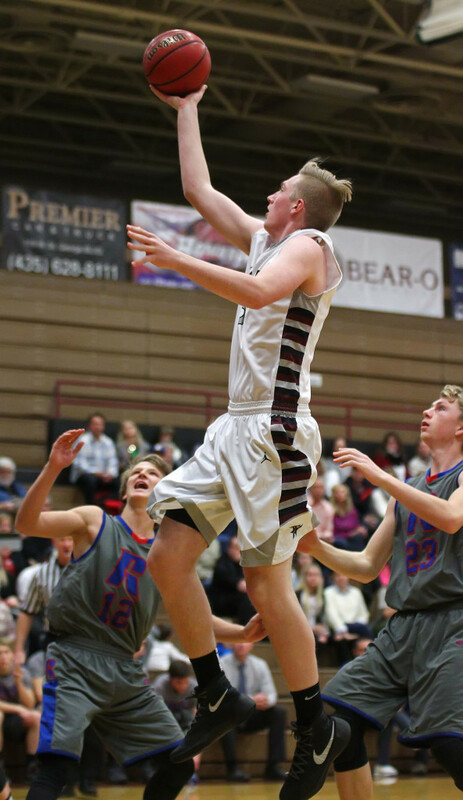 Things weren’t much different in the third quarter as the Flyers outscored Wasatch 9-8, holding a 28-20 advantage with one quarter left and Dixie cruised from there. Nate Crockett had 12 points and Malachi Otis hit a pair of treys and had nine points for Dixie, which improved to 9-2 on the season. The Flyers will play in the tourney’s championship game Thursday against 4A Kearns, which beat Hunter 63-54 Wednesday. The Cougars are 9-1 and are coming off a second-place finish at the 4A state tournament a year ago. Cedar had a chance to tie the game with 15.6 seconds left, but a pass sailed out of bounds, ending the Redmen’s hopes for a comeback win. Carbon’s big second quarter helped outlast Cedar’s comeback. Cedar head coach Craig Cardon was happy the way his team battled, but disappointed with the loss. Carbon scored 19 points in the second quarter behind guard Cole Fossat’s 15 points in the quarter alone. Fossat ended the game with 28 points. 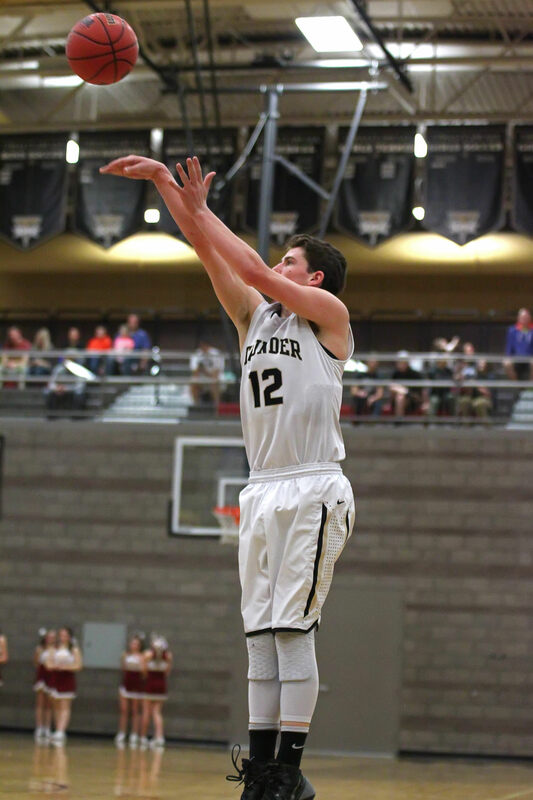 Cedar was led by Keenan Nielson’s 23 points, six rebounds and six assists. Mason Fakahua scored 17 points and grabbed five rebounds and Parker Haynie scored 12 points and collected six boards. Cedar scored 46 of its points in the second half thanks to Nielson’s 19 and Haynie’s 12 in the half. Fakahua was disappointed in the loss, but was happy with his efforts and his team’s efforts in the fourth quarter and said that will be the key to future games. Cedar will play Richfield next Jan. 6 in Richfield. 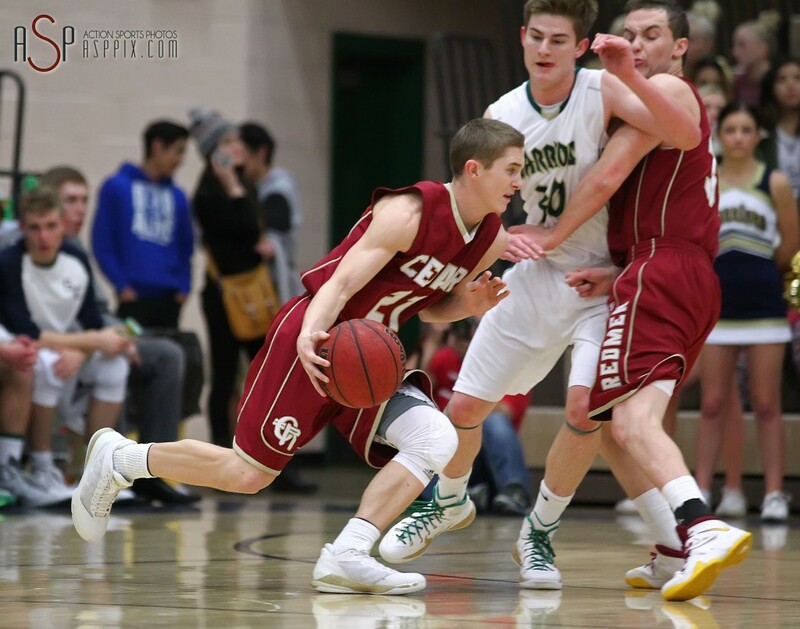 After that, the Redmen will play Canyon View Jan. 8 in the rematch of a previous loss to the crosstown rival. 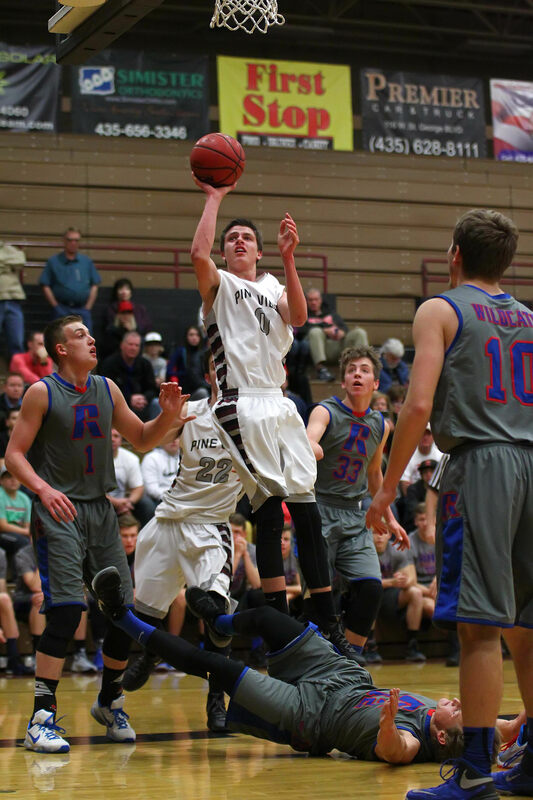 Desert Hills scored 25 points in the fourth quarter to pull away from Eldorado in a 68-52 win. Marcus McKone and Logan Hokanson each hit five 3-pointers to help lead the Thunder to victory. McKone finished with 23 points, while Hokanson finished with 15. But it was a five-point game heading into the fourth quarter when the sharp-shooting Thunder exploded for 25. D-Hills ended up hitting 14 of 29 on two-point shots, and an impressive 11 for 22 on 3-pointers in the game. McKone was 5 for 7 and Hokanson was 5 for 9. Tanner Turley was also in double figures with 14 points and he added seven rebounds and a couple of assists. Eldorado was just 19 of 62 from the floor (30 percent) and DH won the rebounding war 37-28. Desert Hills, 9-1, will play at Arbor View (Nev.) Jan. 8 in Las Vegas before starting region play at Hurricane Jan. 13. At the Tri-State Classic in Las Vegas, the Tigers finished strong with a blowout of the Bulldogs from eastern Arizona. Hurricane hit 51 percent from the floor and allowed Kingman just six points after halftime. The Bulldogs scored just a single point in the third quarter as Hurricane turned a 37-20 halftime advantage into a 51-21 runaway. KHS actually scored first in the third on a free throw by Jared Dupree, but then watched helplessly as Hurricane went on a 26-0 run spanning nearly two quarters. Riley Ballard continued his stellar play with 13 points and 12 rebounds. He’s stepped up with the second missed game in a row by HHS star Reagan Hinton. Josh Parker has also been hot lately and he finished with 13 points, while Kirt McDaniel had 12 and Landon Barker had 10 points. Hurricane, 6-4, forced 21 turnovers and allowed just 10 of 31 Kingman field goals to connect. 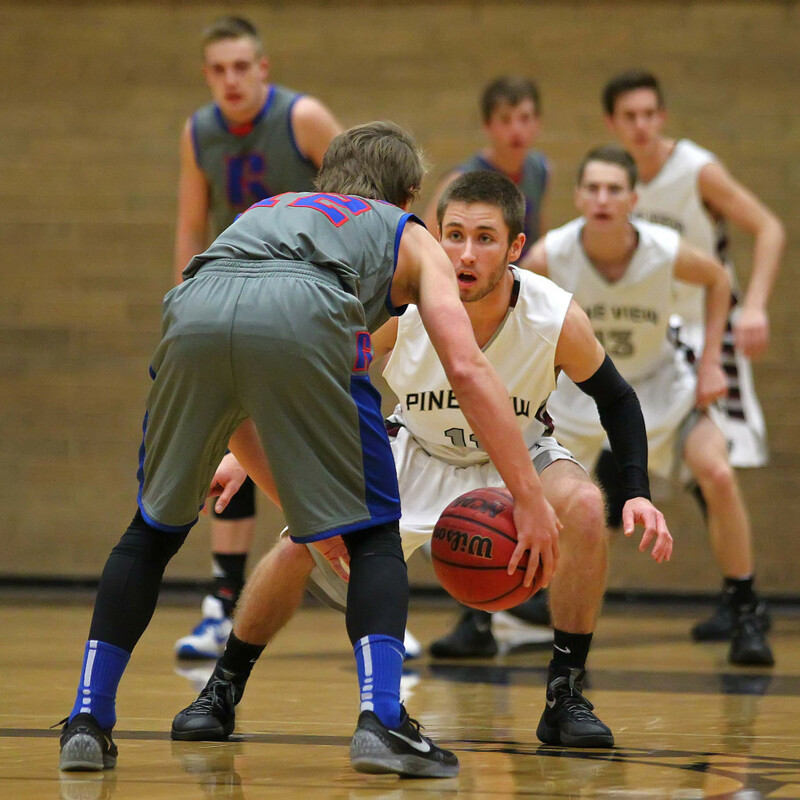 The Tigers play next on Jan. 9 in a road game at Parowan. Hurricane starts region play Jan. 13 at home against Desert Hills. The Falcons blew this one open with a huge 29-point third quarter. Leading 37-26 at intermission, Canyon View came out of the locker room on fire, led by sharp shooting Spencer Jensen. He had four 3-pointers and 21 points and CV outscored the Eagles 29-15 for a 66-41 lead going into the final period. Brantzen Blackner and Cadyn Clarck had 13 points each for the Falcons, who improved to 8-6 on the year. CV hosts Cedar Jan. 8.